More textures for the Diamond Carousel Pack. 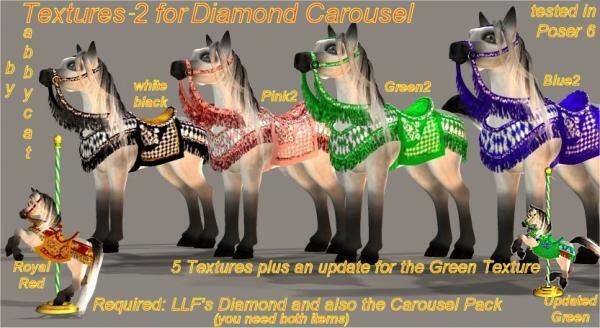 You need the Diamond horse model and the Carousel pack. Links to both items are in the readme file. 5 more textures plus 1 updated green texture for the first texture pack. buttifly (8 years ago) Inappropriate?